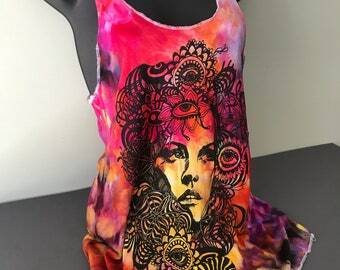 This super stylish high neck tank features hand drawn pen and ink Two Faced psychedelic jungle artwork. 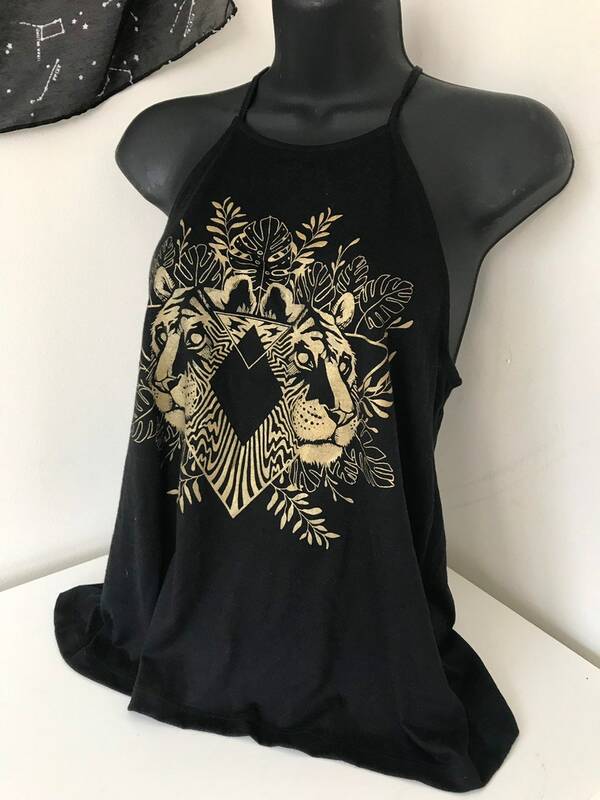 This ultra flattering and comfortable tank has a high neck, thin spaghetti straps, with a relaxed flowy fit. This trendy tank is easily dressed up or perfect for looking cool at any casual occasion. Each piece is screen printed by hand in our studio using eco-friendly water based inks.